The Madrid 3 and Super Madrid 3 range offers a wide range of solutions that simplify the layout of different sections of the supermarket, this is simply a must-have. 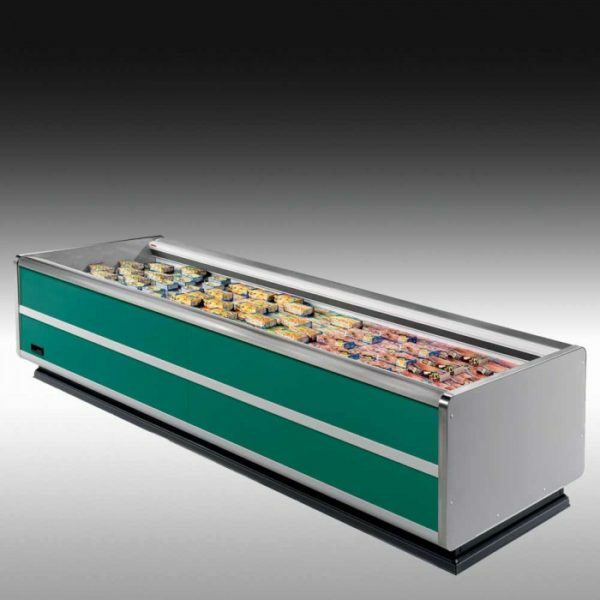 The Arneg Super Madrid 3 refrigerated island belongs to the range of products that can be used in a variety of sales outlets, with a natural propensity for the “Discount” type. The new technical solutions, the use of new materials and the improved design contribute to the development of a highly professional and reliable product. Offered at a reduced price, these are new cabinets with a 12-month warranty and a white exterior finish.